The NASA Transition Authorization Act of 2017 is the first NASA authorization bill to clear both houses of Congress since the fall of 2010. WASHINGTON — For the first time in nearly six and a half years, Congress has passed a NASA authorization bill with the approval of such a bill March 7 in the House of Representatives. The House approved on a voice vote the NASA Transition Authorization Act of 2017, S.442, after a brief discussion on the House floor where no members spoke against the bill. The same bill passed the Senate by unanimous consent Feb. 17. 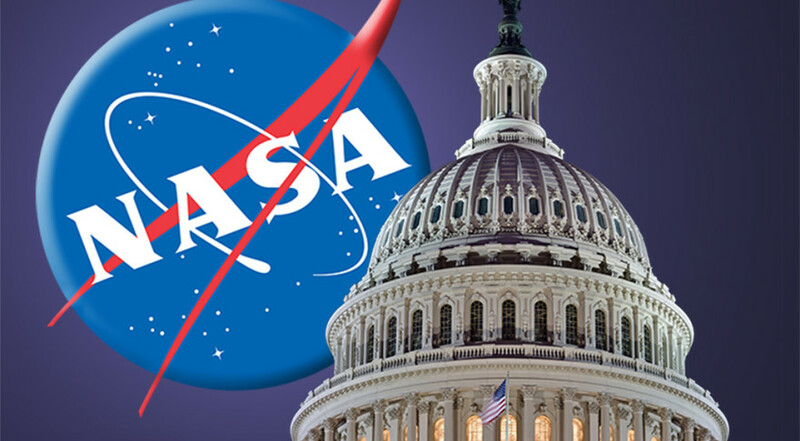 The bill authorizes $19.5 billion in spending for NASA in fiscal year 2017. More importantly, it includes a number of policy provisions directing NASA’s activities. They range from development of a detailed plan for NASA’s human exploration programs, with the long-term goal of sending humans to Mars, to giving NASA the ability to establish long-term medical monitoring of former astronauts. The bill is nearly identical to a bill the Senate passed in December, just after the House adjourned for the year. The new version includes a few provisions not found in the earlier one, including language directing NASA to study the use of the Orion spacecraft as a crew transfer vehicle for the International Space Station as a stopgap if commercial crew vehicles suffer additional delays. While the bill had broad support, some members highlighted areas of concern that may become issues in later legislation. “It is not a perfect bill,” said Rep. Eddie Bernice Johnson (D-Texas), ranking member of the House Science Committee. “It does not directly address all of NASA’s science programs, mainly Earth science and heliophysics.” She said she was also critical of authorized funding levels for NASA’s science, aeronautics and space technology accounts, but added she supported the bill overall. The bill is the first NASA authorization to pass both houses of Congress since the NASA Authorization Act of 2010, which the House passed in September 2010 nearly two months after it cleared the Senate. The House worked on several authorization bills in subsequent years, including some which passed the full House, but none made it through the Senate. This bill had a smooth ride through the House and Senate because of work behind the scenes to address issues before the bill was introduced in the Senate last month. In a January interview, Smith said he and Sen. Ted Cruz (R-Texas), chairman of the Senate space subcommittee, had been working to “pre-conference” the bill to resolve any problems before its introduction, allowing for a streamlined passage through both Houses. The bill also has the support of the White House, according to congressional sources. The space industry welcomed the bill’s passage. “Today’s approval of the NASA Transition Authorization Act by Congress sends a clear message to the American people and our international partners that our nation remains committed to NASA’s space exploration program,” Mary Lynne Dittmar, executive director of the Coalition of Deep Space Exploration, said in a March 7 statement. Dittmar cited the support the 2010 authorization bill provided for human exploration programs, such as the Space Launch System and Orion, as well as space science programs. “This new authorization will provide the framework for continued progress towards these national commitments,” she said.